The Friday File: About 500,000 vasectomies/year are performed in the US. The recuperative time is 2-3 days. Not surprisingly, Fridays are the most common day to have the procedure as it gives a weekend to recover. But some weekends are more equal than others. 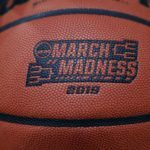 During the first round of the NCAA Men’s Basketball Tournament, vasectomies rise 30% compared to a regular week, primarily because on Tournament Friday they rise 41%!